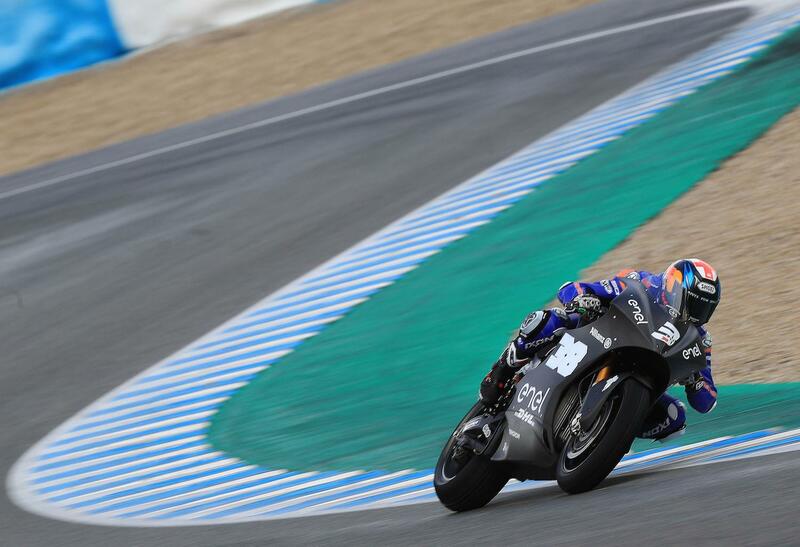 Bradley Smith has charged to the top of the combined time sheets at MotoE’s inaugural test at Jerez, ending the three-day outing nearly half a second clear of Niki Tuuli and Mike Di Meglio. Adapting well to the one make series’ Energica Ego machines, the Brit was able to also dodge the worst of the wet weather to end up comfortable on a brand new type of machine for him. “I'm very happy with the work we've done today. 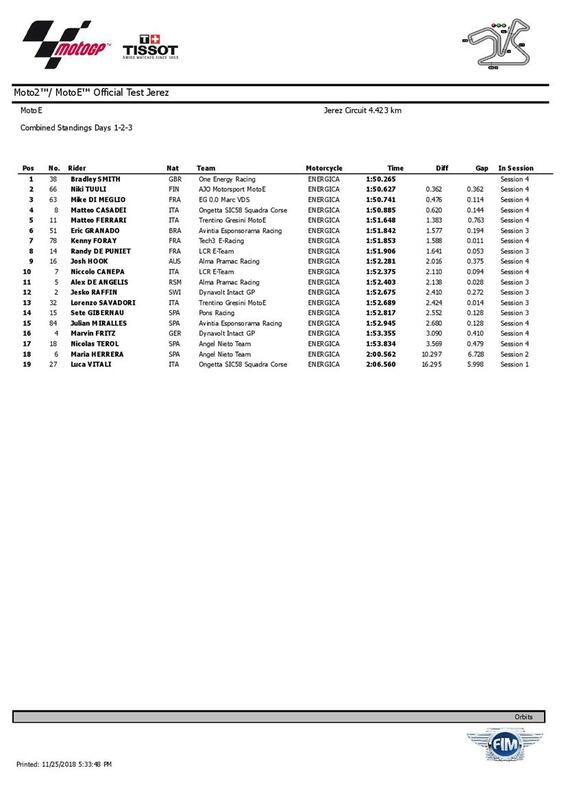 We set a fast lap in the morning session, and I've felt better and better with the bike. In the afternoon we had mixed conditions on track, and it was good to have references for mapping and try out different setups to see what else we can work on for next March. In the last session there were a lot of puddles; we went out with slicks and were very competitive again. The test also marked the return to competitive racing for Sete Gibernau for the first time since 2009, with the former championship runner-up admitting it was a great feeling to get back in the saddle.